Download AllowCredSSP.reg from this article below and apply to the desktops to mitigate this issue first. Secondly One could rollback the security update, but rather than risking other security problems, there’s a quick fix. 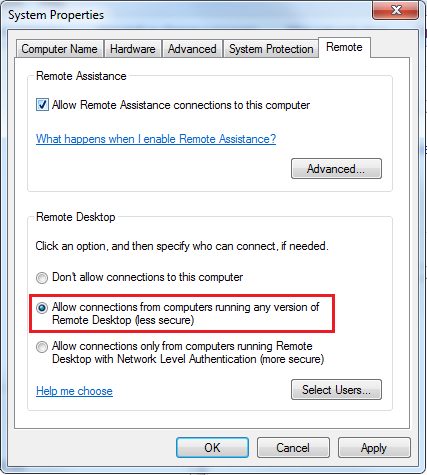 Simply adjust the Remote Desktop settings on the host machine to a lower security level. 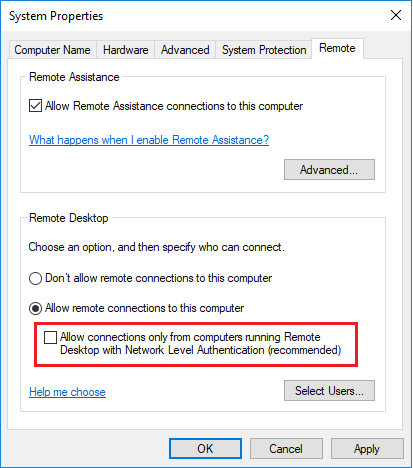 From File Explorer, choose Computer, right-click and select Properties, then click Change Settings, and go to the Remote tab. Once these are set, users can remote to the machine again. To fix this issue, install the May 2018 Windows Updates on both the server and the local PCs. Microsoft has been patching a vulnerability in RDP/CREDSSP with the patches released this month (May 2018) and previous month or two, and as of the May 8 updates, it requires BOTH the client PCs and the Windows Server to both have the May patches installed. Below is a link about it but best is to apply the patches….